A weave perm wrap perms part of the hair to provide fullness and curves rather than curl. A Texture Perm wrap is a nine section perm wrap technique in which all base sections are horizontal, the same length and width of the perm rod with half the section “weaved” out. The first thing to consider hair type and condition of your clients hair. That will determine whether you use an Alkaline or Acid perm. 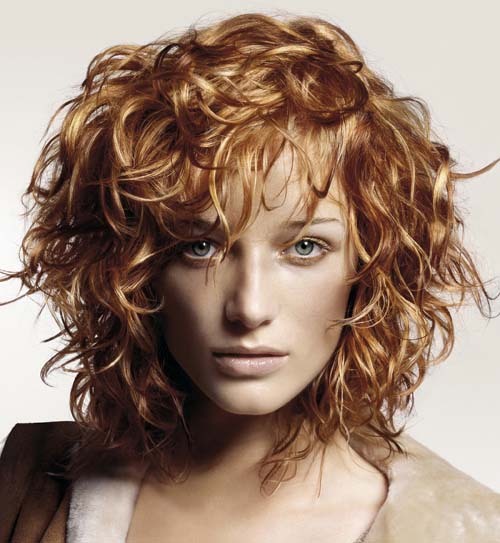 Once you’ve decided which perm is a fit, consult with her on a desired result - then choose rod size. For body texture waves, generally the largest rods are used. Shampoo hair with a clarifying shampoo to remove any excess oil or minerals. Rinse shampoo and DO NOT CONDITION. Remove tangles with a wide toothed comb or "wet brush". Section hair into 9 sections. Starting at the top and center, create a horizontal sub-section the size of your rod. Overdirect, comb smooth and weave out half of your first section with rattail comb. Apply end papers to the middle of section then place your fingers on either side of the end paper in a “cutting” motion, sliding the paper with your fingers to the end of the section. Once the end paper GOES PAST the ends, about ¼ inch, apply the rod. You can slide the end paper to make sure the very end of the hair is perfectly curled around the perm rod - then roll away from the face + fasten. Comb out and roll the other half of the section you weaved out. Continue wrapping over directed, then on base at crown. Now the middle section is done, move to the sides. Wrapping the “middle” sections first prevents the hassle of trying to roll between two rows of rods.